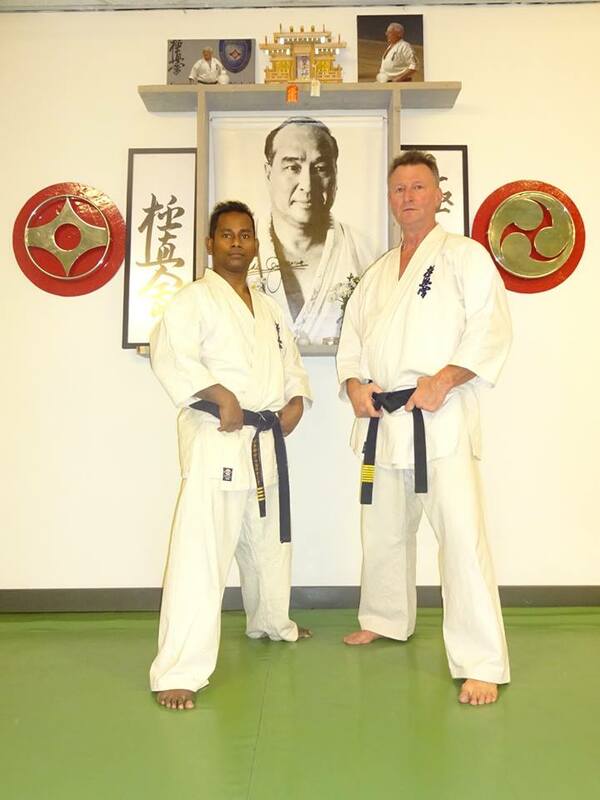 The Uchi-deshi weekend camp was held by the Kyokushinkaikan Sokyokushin Wildeboer Dojo on Friday 6th February to 8th February 2015 in Sport Arcade, The Netherlands. 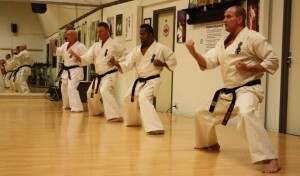 Hence, this seminar offered Kyokushin adepts this rare opportunity to gain much knowledge from such an experienced Instructors. 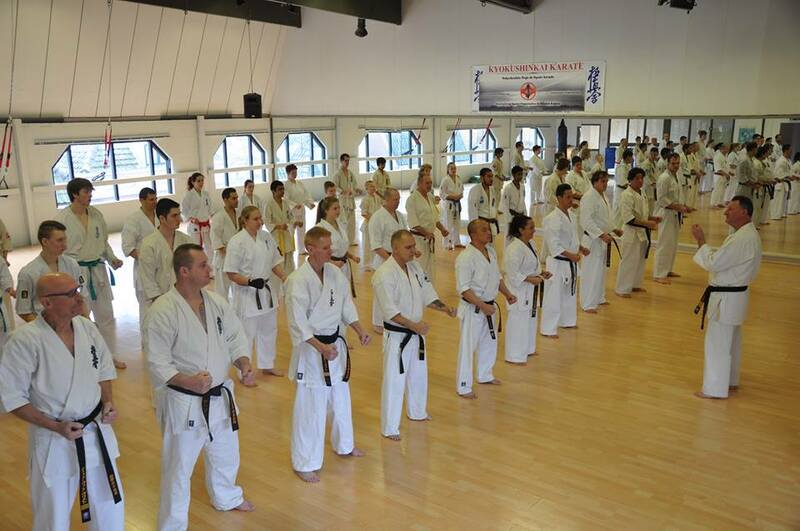 This seminar was opened to all Kyokushin Karate groups and in general it was dedicated to standardizing of traditional Kyokushin Karate Kihon, Ido, Kata, Kumite and attended 70 students from Belgium, Germany, U.K and The Netherlands and Shihan Roel Wildeboer and grading panel leaded an examination from 3 rd kyu to 3rd Dan. 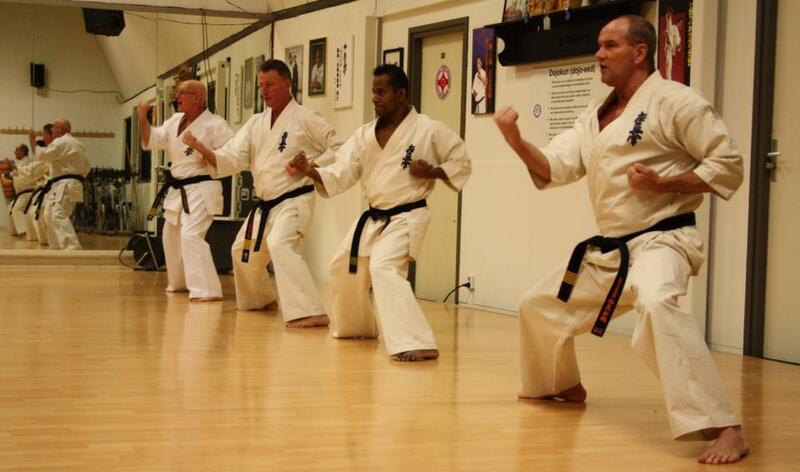 Congratulations goes to all grading participants and Sensei Wesly Jansen, Sensei Conchta Jansen, Sensei Gustap Mangundap who passed their 3rd Dan at the Uchi-deshi camp in Sunday 8th February. 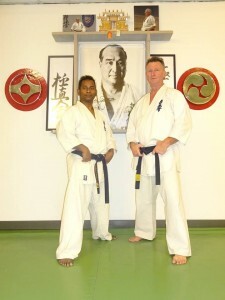 It has been seven amazing, inspiring, motivating, fun and priceless sessions which have been spent by the students under the tutorship of Shihan Roel Wildeboer,Shihan Kees Bek,Shihan Christian Snoeckx, Shihan Prasanna Fernando, Shihan Peet Peek,Shihan Nico Waerts, Sensei Donny Lee and Sempai Wasly Jansen. 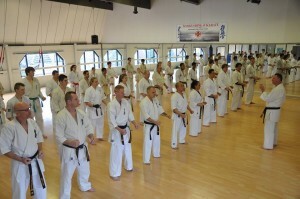 The seminar was organized by the Netherlands Kyokushinkaikan Sokyokushin led by Shihan Roel Wildeboer 7th Dan.